The Tren-Dells aka The Trend-els began their career in 1958 as The Four Frantics in Lousville ,Kentucky formed by John Hourigan (Lead), Joe Bergman (Tenor), Bill Summitt (Baritone) and Bill Mathley (Bass). 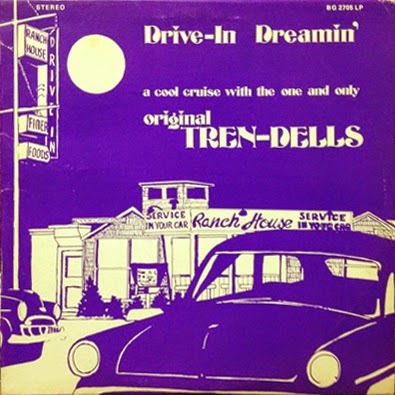 In 1960 changed the name to the Tren-Dells and singing with a band,The Carnations (see in this blog) and with a kid vocalist, Paul Penny. 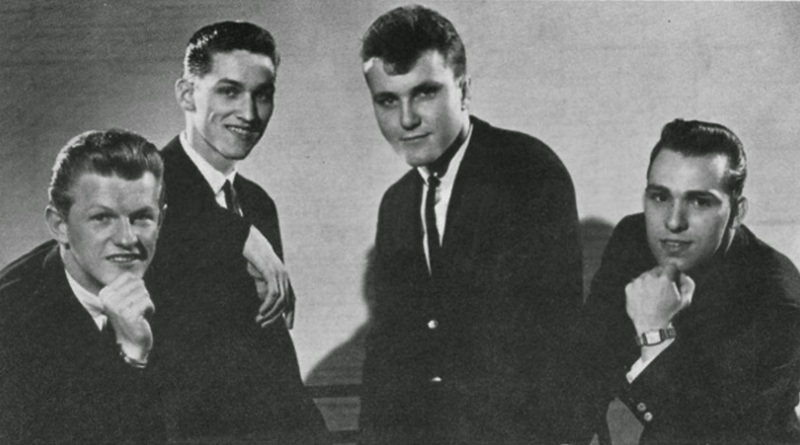 Their first 1961 release_I'm So Young/Don't You Hear Me Calling Baby.went to local hit,their Student's version of_I'm So Young. 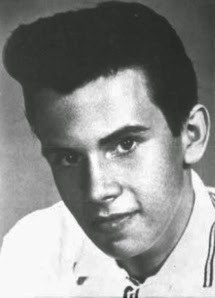 featured Paul Penny as kid Lead Vocalist (above picture). 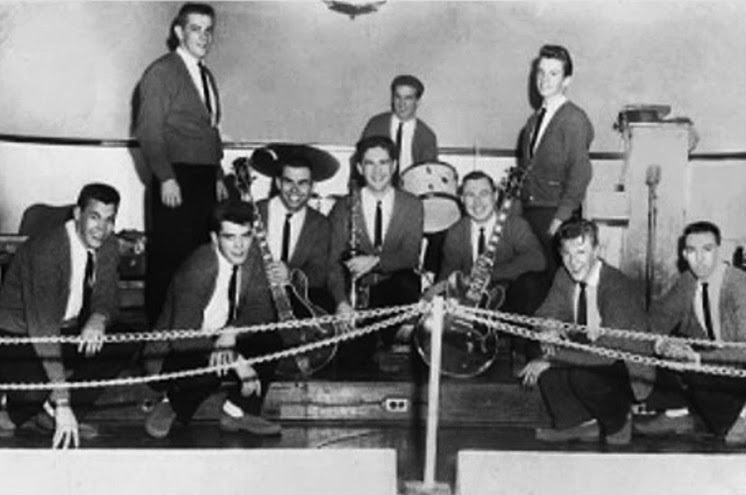 During the 1950's and 1960's they had seven songs on the local charts in 1962 they released their biggest Hit_Nite Owl. which was released on the Jam label and picked up by Capitol Records this song went to number 3 on WKLO and number 2 on WAKY. -I'm So Young / Don't You Hear Me Calling Baby. Tilt Records-1961. - I Miss You So / Moments Like This. 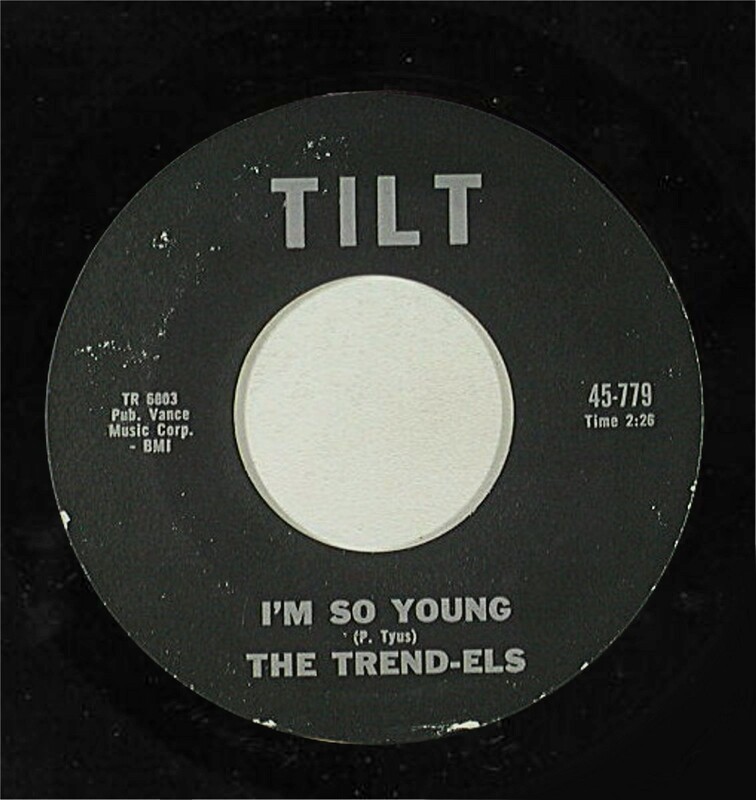 Tilt Records-1962. -Tough Litthe Buggy / Hey Da-Da-Dow. Jam Records-1962. -Nite Owl / Hully Gully Jones. Capitol /Jam Records-1962. -Ain't That Funny / Mr. Doughnut Man. Sound Stage Records-1963. -I'll Be There / Everyday. Southtown Records-1965. -Sha-La-Lah-La / Sweets For My Sweet. Boss Records-1965. -Love / It's So Right. Boss Records-1967. -That's My Desire / Let's go Steady For The Summer. Boss Records-1967. 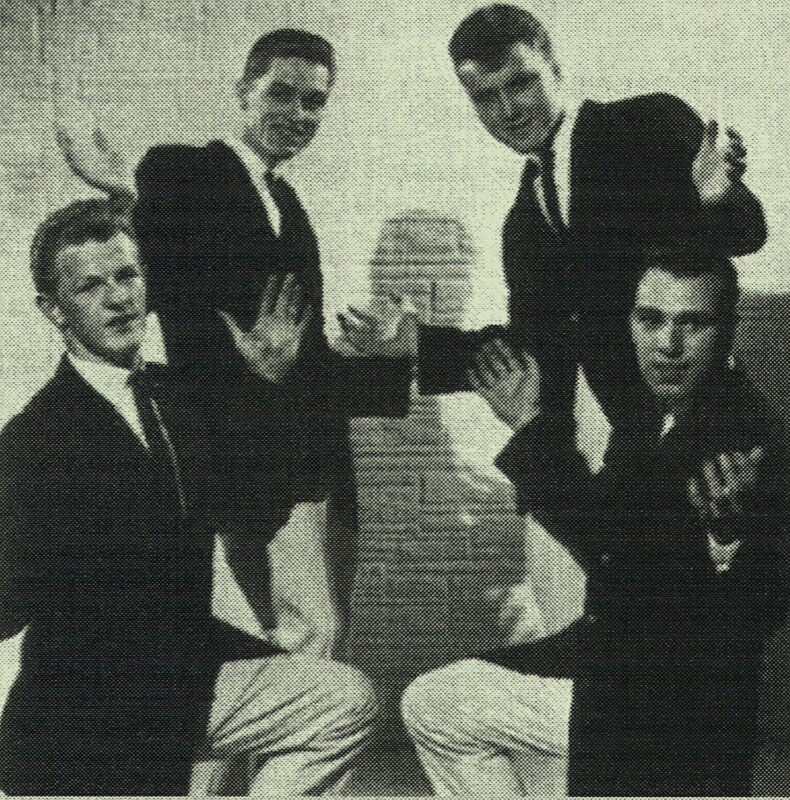 The group have 1962 Tilt records unreleased sides as...Hey Little Sheila / I Love You / Look at Me. -Moments Like This. 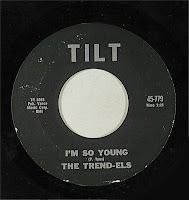 recorded(as the Trend-els) for Tilt Records in 1962 is their best doo wop side. Rock & Roll will stand / Cherie Pie / Tonight / You've Lost That Lovin' Feelin / Under The Boardwalk / Shout / Let The Good Time Roll / Tears On My Pillow / Blue Moon / Ooh, Baby Baby / Chain Gang / For Your Precious Love. Boot Hog Pefferly & The Loafers - I'm Not Going to Work Today. Believe it or not, three members of the original Tren-Dells and Carnations (the band) are back together in a new group, The Doo-Wop All-Stars. Johnny Hourigan and Billy Summit (lead singers) and Ed Humphries (sax player)perform regularly in Louisville, KY and the surrounding area along with George Poole (formerly with The Sultans), Lynn Cline (founding member of The Epics) and the "youngster" (50 years old), Alan Watson (formerly a lead singer with Metro and still a lead singer with The Tymes Band). In February 2009 The Doo-Wop All-Stars put out a fabulous CD, One Foot In. Visit their web site to see current photos, scheduled appearances and to purchase their CD. They perform regularly at John E's Restaurant in Louisivlle. You'll need to call ahead for reservations because they are always a sell-out act. 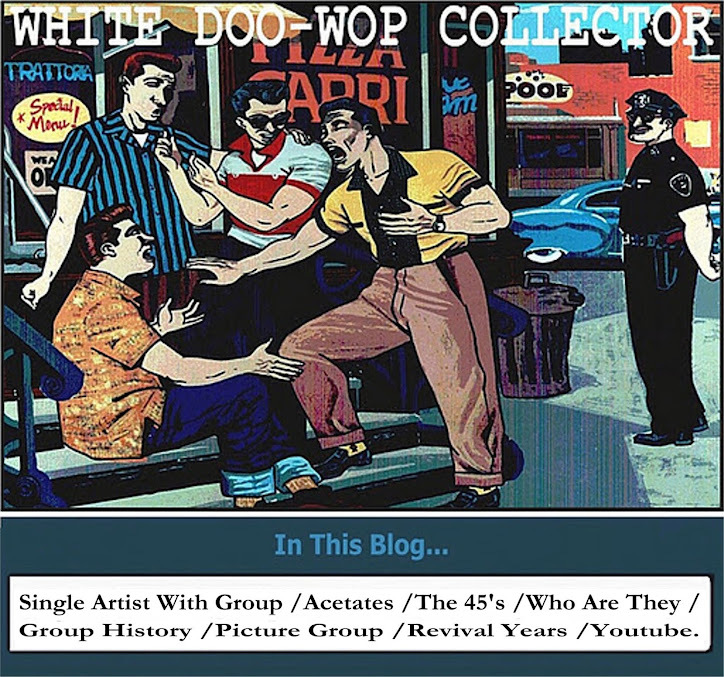 I'm a collector of White Doo-Wop Records and interracial groups. Book References; Complete Book Of Doo Wop / Jeff Kreiter Vocal Group Record Guide(8th Edition). the music files presented are posted for purposes of musical enlightenment only.The intention is to raise awareness of underappreciated artists/songs. If you like what you hear, seek these artists out on CD or get out there and find some of this old vinyl for yourself... If you are the copyright holder and wish any files to be removed, I will do so immediately upon request.